On March 3, 2017, about 0815 Alaska standard time, a twin-engine Beechcraft G18S airplane, N103AF, is presumed to have sustained substantial damage during impact with ocean waters about two miles southwest of Metlakatla, Alaska following a total loss of engine power in the right engine. The airline transport pilot and airline transport pilot certificated passenger received minor injuries. The airplane was registered to Point to Point Air, LLC and operated by the pilot as an instrument flight rules (IFR) flight under the provisions of 14 Code of Federal Regulations Part 91, when the accident occurred. Instrument meteorological conditions (IMC) prevailed for the route of flight. An instrument flight plan was filed and activated. The flight departed the Klawock Airport (PAKW), Alaska, at 0734, destined for Ketchikan International Airport (PAKT), Ketchikan, Alaska. According to a written statement provided by the pilot, the airplane was loaded with just under 1000 pounds of geoduck clams destined for Ketchikan. During an instrument landing system (ILS) approach to PAKT runway 11, the pilot performed the missed approach procedure at decision height due to no visual contact with the runway environment. The pilot stated that the right engine seized during the climb out about 2,000 feet MSL. The pilot directed the passenger in the right front seat, to help navigate to Annette Island Airport and perform radio communications. The pilot stated that he attempted to feather the right engine by pulling the propeller control to the feather position, however the propeller would not feather. He stated that he was not able to maintain altitude, even at the designated single engine rate of climb airspeed of 120 knots and maximum power setting of 36.5 inHg manifold pressure and 2300 RPM on the left engine. The passenger declared an emergency with Anchorage Air Route Traffic Control Center (ARTCC) and requested radar vectors for terrain clearance. According to a written statement provided by the passenger, Anchorage ARTCC stated that they did not have radar coverage at the altitude at which the aircraft was operating. The airplane descended through the clouds on the west side of Annette Island about five miles north of Annette Island Airport. The pilot stated that the airplane exited the clouds at an altitude of between 100 and 200 feet with about 1 mile of inflight visibility. When the airplane descended through 50 feet, the pilot initiated a forced water landing in Smuggler's Cove near the coastline. The passenger transmitted the ditching intentions on the ARTCC frequency. According to the pilot, the right wing contacted the water first and the airplane yawed right. When the nose section contacted the water, it immediately separated from the airplane. Both occupants egressed through the left crew door and swam about 200 yards to shore. The pilot reported seeing fire on the surface of the water. The airplane then sank in about 14 fathoms (about 84ft) of water. The Federal Aviation Administration issued an ALNOT (alert notice) at 0826. U.S. Coast Guard Sector Juneau directed a response vessel from Coast Guard station Ketchikan and an MH-60 helicopter from Air Station Sitka. The Metlakatla fire department launched a rescue boat and were first to arrive on scene about 30 minutes after the accident. The two survivors were transported to Metlakatla medical clinic and treated for minor injuries. According to the U.S. Coast Guard, the waves were 6 feet high at Smuggler's Cove when they arrived. The closest weather reporting facility is Annette Island Airport (PANT), about three miles south of the accident site. At 0815, an aviation special weather report (SPECI) from PANT was reporting in part: wind 150 degrees at 14 knots gusting to 23 knots; sky condition, broken 600 feet, overcast 1,100 feet; visibility, 2 statute miles in light snow; temperature 2 degrees C; dewpoint -1 degrees C; altimeter, 29.46 inHg. Authorities released the names of a pilot and passenger in a plane crash Friday morning near Metlakatla. A wheeled, twin-engine Beech G-18 enroute from Klawock was trying to land at the Ketchikan airport about 8:30 a.m. Friday, Ketchikan Flight Service reported. The pilot was Steven Hewitt of Seattle and Grant Hasting of Auburn, Wash., was the passenger. The aircraft missed the Ketchikan runway on its first attempt and then lost power to one engine while circling back, according to Alaska State Troopers. Hewitt told air traffic control that he was going to attempt a beach landing, then radio communication was lost. The plane went into the water near Smugglers Cove, south of Metlakatla just off of Annette Island, troopers reported. The plane sank, but the two men on board were able to swim the approximately 200 yards to shore. They were found by Annette Island Search and Rescue crews, and were taken to the Metlakatla clinic for treatment of minor injuries. The weather in the Ketchikan area on Friday morning included heavy snow and strong winds. 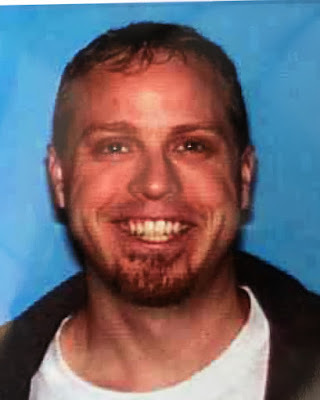 Numerous agencies responded quickly, including Alaska State Troopers, Wildlife Troopers, U.S. Coast Guard, Ketchikan Volunteer Rescue Squad, Metlakatla Police Department and Annette Island Search and Rescue. JUNEAU, Alaska (KINY) - Two people were rescued after their plane made an emergency landing in the water near Ketchikan Friday. The Coast Guard reports the pilot of a BE18 Beechcraft missed the approach to the Ketchikan Airport due to icing on the airplane, diverted for an emergency landing on Annette Island, but had to make an emergency landing in the water in Smuggler's Cove near Annette Island. Tribal and local partners assisted. Metlakatla police and fire rescue boat crews were the first to arrive, and transported the two survivors to Metlakatla Clinic. They were treated for minor injuries. Coast Guard Sector Juneau watchstanders briefed the Alaska State Troopers and Annette Island Fire Department, and released an Urgent Marine Information Broadcast to mariners. A Coast Guard Station Ketchikan Response Boat-Medium crew and an Air Station Sitka MH-60 Jayhawk helicopter crew were directed to the scene. The Station Ketchikan RB-M crew remains on scene to monitor the scene for potential pollution with Marine Safety Detachment Ketchikan personnel. Both crew members on a plane that ditched in waters near Ketchikan Friday morning were able to escape with only minor injuries, according to federal officials. Clint Johnson, the National Transportation Safety Board's Alaska chief, said the plane went down shortly after 8 a.m., when it failed to land at the Ketchikan airport during an instrument approach in snow showers. The aircraft set down off Annette Island. Noreen Price, the NTSB investigator assigned to the incident, said that the Beech 18 — a twin-engine propeller plane, operated by Washington-based Point to Point Air — was on a flight from Klawock to Ketchikan at the time of the landing. No passengers were on board, Price said the company told her. "On the radio, the crew reported that they had an engine failure during that missed approach," Price said. "They could not maintain altitude and they made an emergency landing." After the Beech ditched, Price said, the plane's occupants got out and were able to swim to shore as the aircraft sank. A rescue boat from Metlakatla was sent to the area and picked up the crew. The U.S. Coast Guard also sent a Ketchikan-based response boat and a Sitka-based MH-60 Jayhawk helicopter to the scene, according to a statement from the service. The Metlakatla boat crew took the occupants to a clinic in Metlakatla for care. Weather in the area included winds at 34 mph, 6-foot seas and "restricted visibility," the Coast Guard statement said. Aircraft on landing went off the end of the runway. The solo student pilot reported that, during touchdown, the airplane encountered a crosswind and was “push[ed]” off the runway to the right into a ditch. 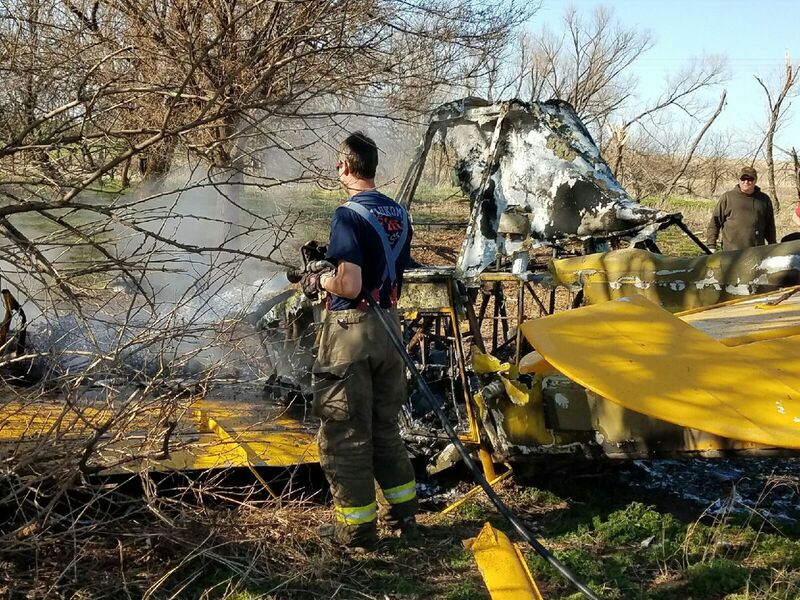 The airplane sustained substantial damage to the firewall and engine mount. The student pilot reported that the wind was about 5 to 10 knots from a westerly direction. The nearest automated weather observation station, located 27 nautical miles from the accident site, about the time of the accident, reported wind from 270° at 3 knots. The student pilot reported that he landed on runway 1. The student pilot's failure to maintain directional control during landing in crosswind conditions. The solo student pilot reported that during the landing touchdown, the airplane encountered a crosswind and was "push[ed]" off the runway to the right into a ditch. 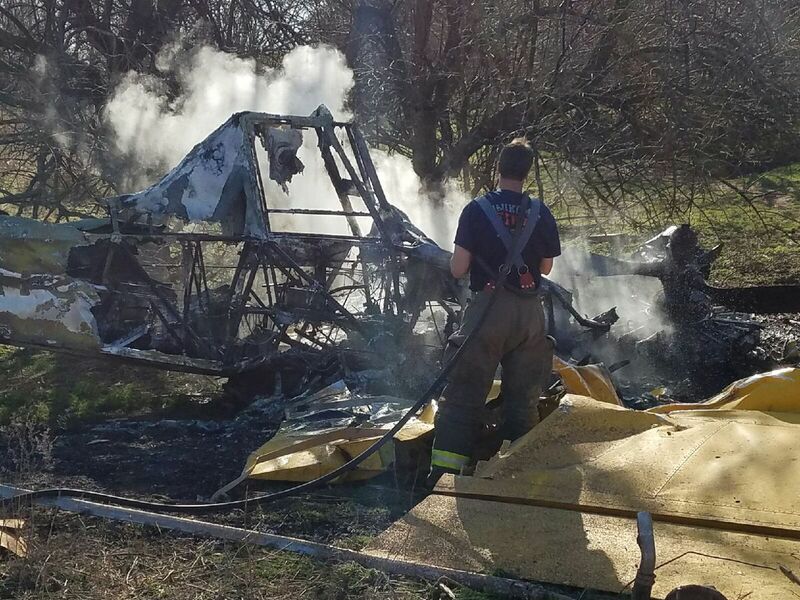 The airplane sustained substantial damage to the firewall and engine mount. During an interview with a Federal Aviation Administration Aviation Safety Inspector, the student pilot reported that the wind was about 5 to 10 knots from a westerly direction. The nearest automated weather observation station, 27 nautical miles from the accident site, about the time of the accident, reported the wind 270° at 3 knots. The student pilot reported that the landing was on runway 1. AIRCRAFT: 1980 Cessna 152 N6318M, s/n: 15284670. Current tach 2929.9 and current Hobbs 1407.1. Last annual inspection entry on 04/01/2016 reads TT 11253 and Tach 2024.6. ENGINE: Lycoming IO-235-L2C, s/n: L-21535-15. The log entry for the annual inspection on 04/01/2016 reads Tach 825.4, and TSMOH 2024.6. EQUIPMENT: KMA 20, (2) KX 155s, KR87, and a GTX 320. The DG has been removed and is NOT included with the salvage. DESCRIPTION OF ACCIDENT: On landing at Tri County Airport, Bonifay, Florida on 02/04/17, the aircraft departed the runway and came to rest in a ditch with water. LOCATION OF AIRCRAFT: Tri County Airport, 1983 Tri County Airport Rd, Bonifay, FL 32425. INQUIRIES/REMARKS: DG is not included with salvage. Hour meters in aircraft appear to not match log entries. Aircraft while on the runway, engine caught fire and was extinguished. Aircraft force landed off the side of a road. Aircraft on landing sustained minor damage. Aircraft crashed under unknown circumstances. The Peninsula Airport Commission’s use of taxpayer funds to pay off a $4.5 million debt of a failed airline has, two years on, sparked a major house-cleaning. Newport News City Manager Jim Bourey resigned as a commissioner Thursday, saying he felt his decisions on the body, which included voting to guarantee a loan to People Express Airlines, were justified. The commission ended its six-decade-old relation with the law firm of its attorney, Herbert V. Kelly Jr. It put Newport News/Williamsburg International Airport executive director Ken Spirito on paid administrative leave. And, for the first time, it said it regretted its dealings with People Express, which operated out of the airport for less than three months in 2014. 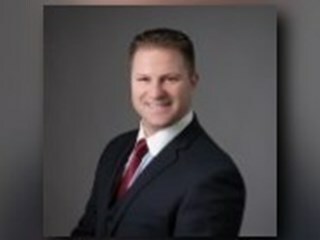 Executive Director Ken Spirito was placed on paid leave. Wallace, former mayor of Hampton, said Spirito would remain on administrative leave while a state audit continues. The state cut off funds to the airport in January after a review prompted by Daily Press stories about the loan payment uncovered the use of $3.55 million of state funds to help pay off the People Express debt. “We want to protect the integrity of the audit and at the same time not put a cloud on Ken,” Wallace said. “It’s like when an officer gets a serious complaint and is placed on administrative leave pending an investigation,” commissioner Rob Coleman said. He said once the audit is completed, the commission will decide Spirito’s status going forward. 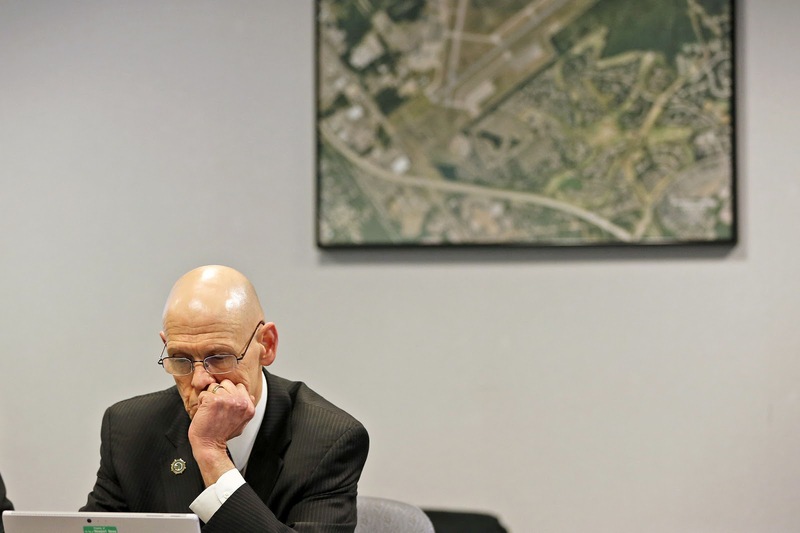 That audit is likely to take some time because the commission is not providing documents investigators have requested, in some cases two or three times, and because commission staff have not made themselves available, Virginia Secretary of Transportation Aubrey Layne has said. Wallace said the documents the state wants are actually in the custody of TowneBank, which made the loan and which was made whole by the commission guarantee. Airport attorney Kelly, who wrote the resolution empowering the commission’s then chairwoman to sign the loan guarantee, is a member of TowneBank’s Peninsula board. The resolution, which the commission approved after deciding in a closed session to guarantee the debt, did not mention that the body has decided to take on the risk of paying off People Express’ IOU. Asked for reasons for the decision to end Kelly’s representation, Wallace said the commission just felt it was time for change. Bourey announced his resignation from the board before the closed meeting. “The past month has been a very difficult time for the airport and me personally. I am tremendously disappointed with the level of misinformation exists√ and the tremendous confusion for everyone that has been created,” he said. The Newport News City Council, meanwhile, scheduled a closed session for 10 a.m. Tuesday to discuss the performance of one of its three appointees. Its notice did not specify which of those three — Bourey, City Clerk Mabel Washington or City Attorney Collins Owens — would be the subject of the discussion. In its statement regretting the People Express deal, the commission said it would invite Williamsburg, James City County and York County to join Newport News and Hampton in sending representatives to its decision-making board. The commission used $700,000 from the Regional Air Service Enhancement Committee, a regional body funded by local governments that tries to woo airlines to the airport. That move prompted Hampton, James City County and York County to put a hold on their contributions to the group. The commission also used $300,000 of federal funds meant to pay for marketing and to guarantee revenue for the People Express service. In addition to inviting the other localities to join its board, the statement said the commission would cooperate fully with the state audit, and supported legislation approved by the General Assembly to reform the way the state gives funds to airports. The statement marks a significant break. Spirito and members of the commission have argued that a state manual on the use of funds intended for improvements to public airport facilities allows for "air service development projects, " and that the loan guarantee was such a project. Layne said the payment violates a 30-year-old state policy. Other Virginia airport executives have said they knew the state funds could not be used that way. National carrier Air India today removed its Executive Director (Operation) Capt. AK Kathpalia for not taking breathalyzer test. All pilots are required to take the breathalyzer test before they fly. "Captain A Kathpalia operated AI DEL-BLR on January 19 without undergoing BA examine test which is contravention to the contain in CAR section-5 series-F part III issue III dated 4 August 2015," DGCA said in an order. The order further adds, "Kathpalia was positioned as executive director operations in Air India. As per the law, it is mandatory to all pilots to examine pre-flight medical check-up before taking flight." Kathpalia is also accused of risking the life of former Prime minister Dr Manmohan Singh while he flew him abroad. The CCPA had objected to him being made ED (Operation), but the airline intervened. Unfortunately, this time the latter does not have any choice. 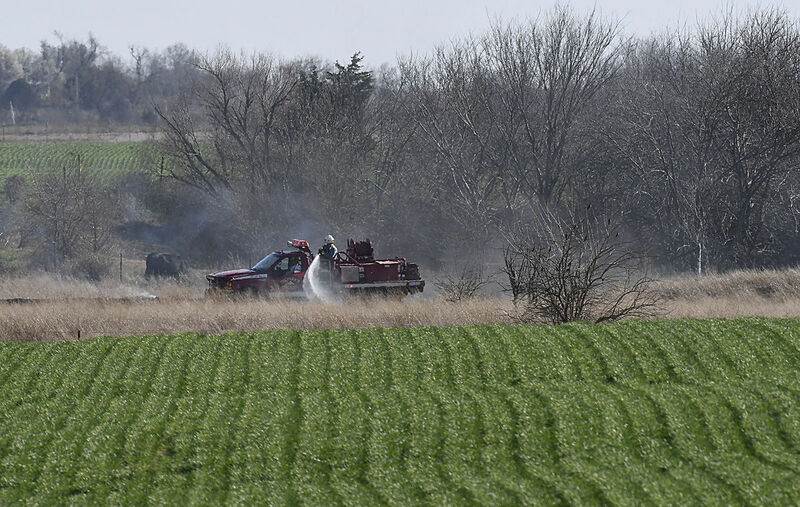 The pilot stated that he was conducting spray operations to a pasture with power lines on its north border. As the pilot approached the pasture from the north on his fourth pass, he intended to descend after flying past the second of two cables. The pilot initiated a descent, but the airplane struck the second cable. The airplane subsequently impacted the ground and a postimpact fire ensued. Following the accident, the pilot stated that he misidentified the first cable as the second cable. The pilot’s failure to maintain clearance from a power line while conducting agricultural spray operations. ENID, Okla. — A Garber man survived the crash of the crop duster he was flying Thursday afternoon east of Enid. Glen Walter Carson, 69, was admitted in stable condition to St. Mary's Regional Medical Center with head, hand and trunk injuries, according to an Oklahoma Highway Patrol report. The crash happened at 3 p.m. one-half mile north of Longhorn Road and one-half mile west of 90th, about 3 miles south and 8 miles east of Enid. The plane went down in a private field. According to the OHP report, Carson was flying a Aero Commander S2R aerial applicator, commonly referred to as a crop duster. He was spraying a field with a herbicide when he lost sight of the top static wire on a power pole. The plane hit the wire, causing it to go down, according to the report. The plane hit some trees, then hit the ground, traveling about 200 feet before it came to rest. Carson was able to crawl out of the wreckage and call for help before the plane caught fire and partially burned, according to the report. The report lists Carson's condition as apparently normal and the cause of the accident at "pilot error." 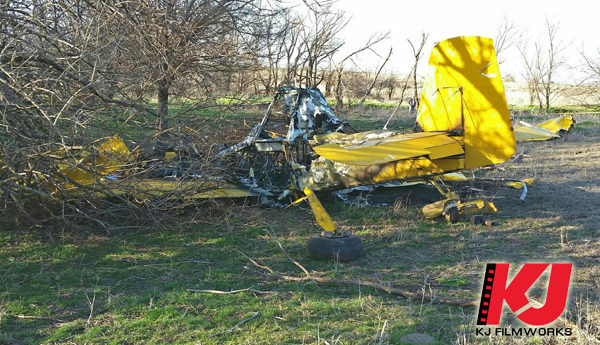 Garfield County Sheriff Jerry Niles said the pilot was conscious and alert when first responders arrived. Firefighters from Waukomis, Fairmont, Pioneer/Skeleton Creek and Douglas responded and put out the plane fire, which also sparked a grass fire. In addition to OHP, Garfield County Sheriff's Office, Garfield County Emergency Management and Life EMS responded to the accident. Federal Aviation Administration was notified and also will investigate. Aviation regulator Directorate General of Civil Aviation (DGCA) should put in place norms to ensure lessors provide information about their aircraft leased to domestic airlines whenever there is a probe, as per a recommendation by Aircraft Accident Investigation Bureau (AAIB). It has been made by the AAIB while submitting its report on an emergency landing incident of a SpiceJet aircraft last year. The report, which was submitted to the DGCA in November 2016, was made public this week. SpiceJet's Mumbai-Delhi flight, with 158 people on board, had made an emergency landing at the Mumbai airport on March 19, 2016. The A-319 aircraft involved in the incident was wet-leased from Bulgarian operator BH Air. Under DGCA regulations, a domestic airline operator is required to maintain a detailed maintenance and operational information about leased aircraft. In its report, AAIB said BH Air "did not respond to the request of SpiceJet (the lessee) for incident information that was made after the validity of the wet lease period". When a plane is taken on wet lease, the lessor also provides crew, maintenance and insurance. Against this backdrop, the report has recommended that provisions should be there to ensure lessors share information about aircraft whenever required for the investigation purpose. "Provision should be made in DGCA regulations to ensure the lessor must provide aircraft incident/accident information to the lessee whenever required for incident investigation," it said. AAIB investigates serious incidents and accidents involving Indian aircraft that are referred to it by the civil aviation ministry. During the investigation, AAIB found that the leased aircraft had suffered failure of hydraulic system. On March 2, 2017, about 1034 eastern standard time, a privately owned and operated Cessna 340A, N340DW, was substantially damaged when the landing gear collapsed during landing at the Fort Lauderdale Executive Airport (FXE), Fort Lauderdale, Florida. The airline transport pilot was not injured. The local flight departed FXE about 0930. Visual meteorological conditions prevailed, and no flight plan was filed for the post maintenance test flight, which was conducted under the provisions of 14 Code of Federal Regulations Part 91. According to the pilot, the purpose of the flight was to perform a post maintenance check. He departed FXE to the northwest, and performed "maneuvers and aircraft systems checks" before returning to FXE. On approach for runway 9, he observed a "three-green landing gear down indication." During the landing roll, the left main landing gear collapsed, the left propeller struck the runway, and the airplane veered off the left side of the runway and came to rest in the grass. Examination of the airplane by an FAA inspector revealed that the airplane had been substantially damaged. The left wing aft spar was bent, the left wing tip tank, wing flaps, and leading edge were impact damaged, and the left propeller blade tips were curled back. The pilot stated that the airplane had previously experienced a landing gear collapse, had undergone repairs, and this was the first flight since those repairs. According to airplane maintenance records, the airplane had undergone extensive maintenance in December of 2015, including replacement of the left aileron, left inboard and outboard flaps, and removal, inspection, and servicing of all three landing gear. According to a Federal Aviation Administration (FAA) Inspector, FAA records indicated the landing gear collapse occurred in the Bahamas, on April 21, 2014. The airplane's most recent annual inspection was completed on January 19, 2017. At the time of the inspection, the airplane had accrued 3,977 total hours of operation. The wreckage was retained by the NTSB for further examination. FORT LAUDERDALE, FLA. (WSVN) - A small plane has reportedly skidded off the runway at Fort Lauderdale Executive Airport Thursday morning. According to Fort Lauderdale Police, the Cessna 340 plane had just touched down when its left main landing gear collapsed. Police said only the pilot was on-board the aircraft, and no injuries were reported. Fire trucks arrived to the scene as a precaution, but no fire began as a result of the rough landing. One runway at the airport is closed until the aircraft can be towed to a nearby hangar. A second runway is open for departing flights only at this time. The FAA remains on the scene to investigate. 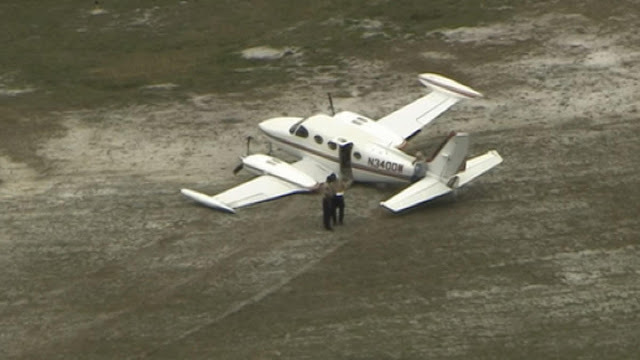 Authorities responded after a small plane skidded off the runway at Fort Lauderdale Executive Airport Thursday morning. The Cessna 340A was landing around 10:45 a.m. when its left main landing gear collapsed, officials said. 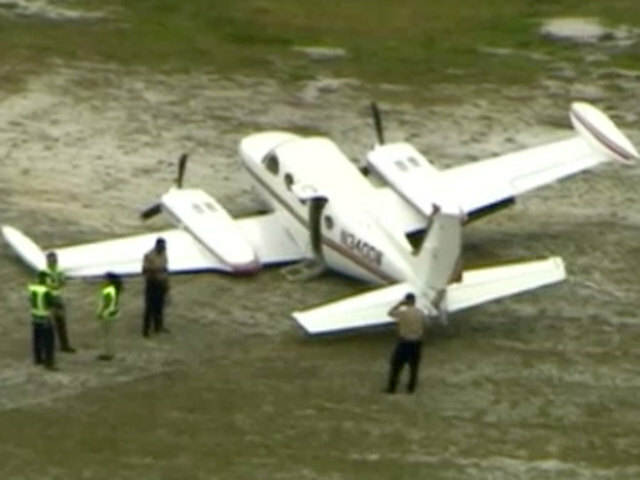 Footage showed the twin-engine plane in a grassy area off the runway. Officials said the pilot was the only person on board and that there were no injuries. Two runways were closed until the plane could be brought to a hangar. BROOKSVILLE (FOX 13) - A small aircraft carrying around $350,000 of marijuana landed at the Brooksville airport Monday, setting off an investigation involving law enforcement agencies from the local sheriff to Homeland Security. 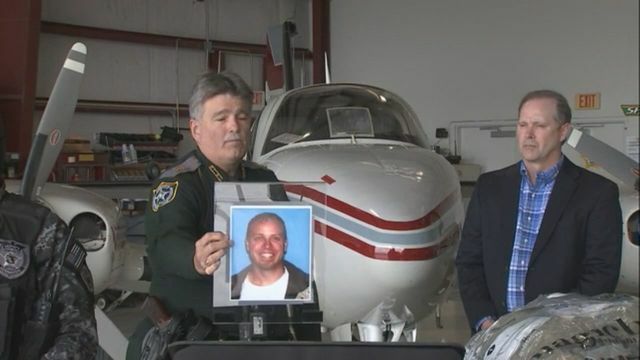 The Hernando County Sheriff's Office is now looking for the two men they say flew the Beech Baron twin engine plane from the west coast to Florida. 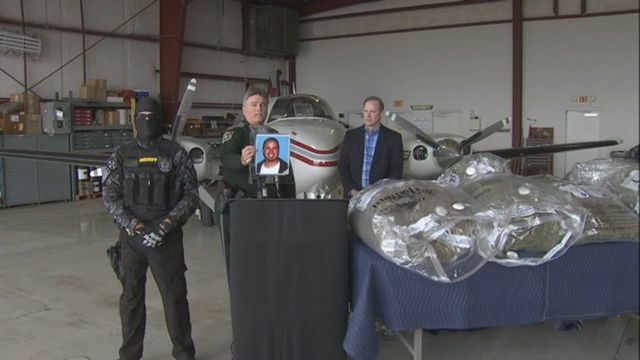 Hernando County Sheriff Al Neinhuis said in a news conference Thursday, four large bags containing almost 200 pounds of marijuana, the aircraft and a pickup truck had been seized as part of the investigation. Street value of the seized pot was estimated to be worth between $300,000 and $350,000. It all started Monday night with what the sheriff said was a surprise call from Homeland Security officials at around 10:30. They asked for help with a plane landing at the Brooksville airport, saying the plane was "acting suspiciously." Neinhuis said his office keeps a close watch on the airport, and keeps a deputy nearby, so they sent the nearest deputy over to check it out. When she arrived, the deputy said the plane had been parked in a hangar, which was being closed as she arrived. When backup got there, they found Joshua Overton and Aaron Andris leaving the hangar. The sheriff said the two were not cooperative and would not let officers search the hangar. While law enforcement, including Homeland Security, worked to get a search warrant for the hangar, the men asked if they were free to leave. With no cause to hold them, officers let them go. The search warrant was approved and executed around 6:30 a.m. Tuesday morning. After finding the large amount of pot, the sheriff said they began to investigate the two men. 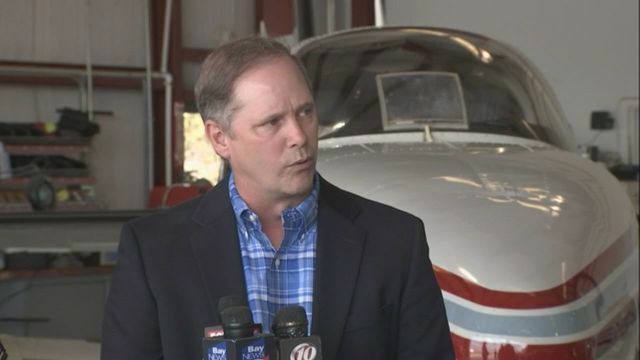 Records show Overton owns the plane and rented the hangar. He is from the St. Petersburg area and does not have a criminal past. 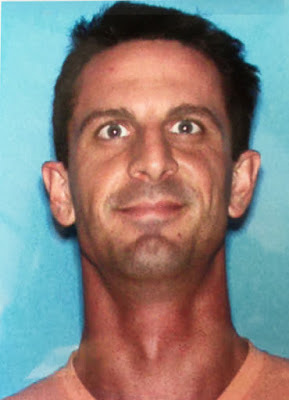 Andris is from Chico, California and also had a clean criminal history. Both men are wanted for trafficking marijuana, possession of a conveyance (the aircraft), and possession of paraphernalia. The sheriff said if they are caught, or preferably turn themselves in, they will be held under a $41,000 bond each. Sheriff Neinhuis said he was not sure if this was an isolated incident for the Brooksville airport, or if the two men had flow drugs in before, adding, "It's probably not the first time they've been involved in drug smuggling." "I don't think drug traffickers really have a set way of doing things and that's why sometimes it makes them a little difficult," the sheriff said. "We do spend a lot of time monitoring the airport... and try to have a unit in the area most of the time." The sheriff said anyone with information about where the two men are may contact Crime Stoppers and be eligible for a cash reward up to $1,000. At the news conference, Senator Wilton Simpson (R-District 10) was on hand to say he appreciated the Hernando County Sheriff's Office. "This is two in a row. Last month we had a major bust and now this month we have marijuana. The sheriff is saving lots of lives here. There are a lot of sheriff's in our area that are known for being tough on crime. The state is willing to a partner with the sheriff any time." Sheriff Neinhuis thanked The Lake County Sheriff's Office, agents with Customs and Border Enforcement, Federal Aviation Administration officers from Orlando and Atlanta, Georgia, and Homeland Security officials for help with the investigation. 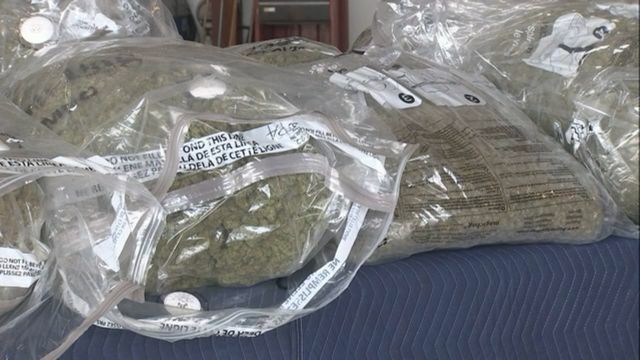 BROOKSVILLE, Fla. (WFLA) – Hernando County Sheriff’s deputies seize nearly 200 pounds worth of marijuana on Monday, with a street value of more than $300,000. They said Joshua Overton and Aaron Andrus flew the marijuana into the Brooksville Tampa Bay Regional Airport Monday night, but before they touched down, deputies got a call from the Department of Homeland Security telling them the two might be smuggling drugs. 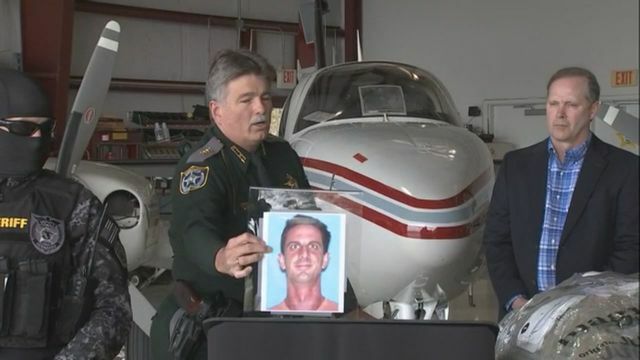 “It’s probably not their first time being involved in drug smuggling,” said Hernando County Sheriff Al Nienhuis at a press conference at the airport Thursday afternoon. The sheriff said the pair landed the million dollar Beechcraft Baron Monday night, but deputies but didn’t have enough cause to hold them. Hours later when deputies executed a search warrant, they found the plane packed with pot, but by then, Overton and Andrus were long gone. “It was pretty sophisticated, as you can see by the packaging,” Sheriff Nienhuis told News Channel 8. The pot was neatly sealed in the passenger’s compartment in vacuum-packed bags stuffed into duffel bags. “I would say there’s a very good likelihood this is not the first time they smuggled drugs,” Nienhuis said. But, was this their first time to Brooksville? The sheriff said yes. He said the pair took off from California and thought Brooksville would be off the fed’s radar, but that wasn’t the case. Now, the sheriff and local lawmakers are glad this pot never made it to its final destination. “I think at the very minimum, it inhibits our economic recovery and at the maximum, lives are lost,” Nienhuis told News Channel 8. Neither man has a criminal record. If you see them, you’re urged to contact the Hernando County Sheriff’s Office.